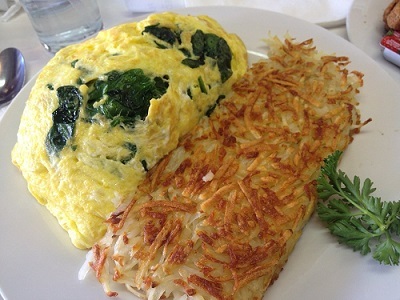 Bacon Spinach Swiss Omelet ...combination of ingredients makes this a best restaurant recipe say customers. This breakfast recipe is also a great low carb meal so long as you skip the potatoes. Serve it with sliced tomatoes or some fruit. Of course, low carb isn't the only way to diet. Visit Nutritionist Suzette Barancik to determine what weight loss approach might be best for you. 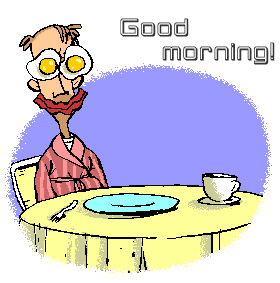 This egg recipe is a great way to start your day! 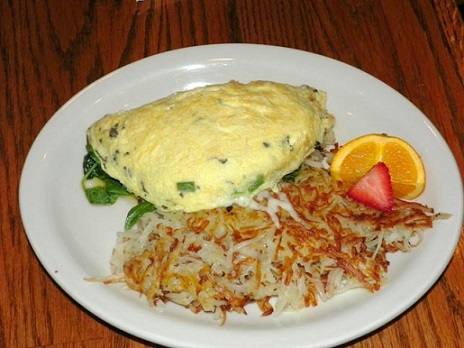 This particular omelet is one of the most popular restaurant recipes for breakfast at the restaurant. It is a very easy restaurant recipe, especially if you really know How To Cook An Egg. That's it! You have just created a masterpiece! 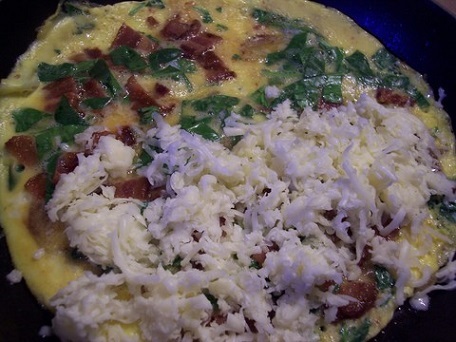 Enjoy your Bacon Spinach Swiss Omelet Recipe and the company of those you share it with! Enjoy all of these real restaurant recipes. Did you know? Canadian bacon is not really bacon, it is fully-cooked smoked pork loin. And ...Cooking spinach actually increases its health benefits! Just half a cup of cooked spinach will give you three times as much nutrition as one cup of raw spinach.